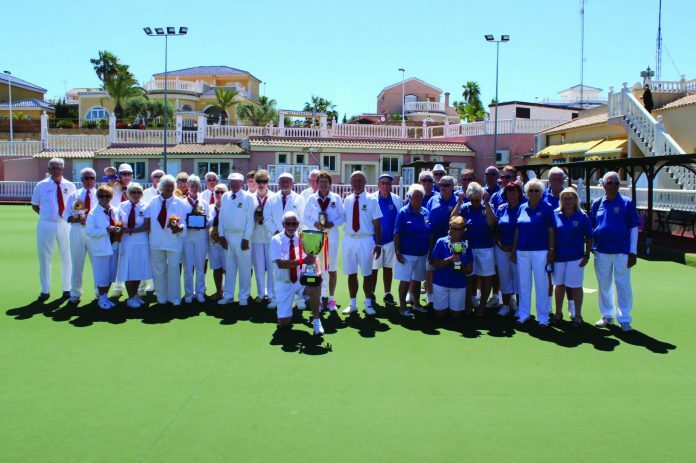 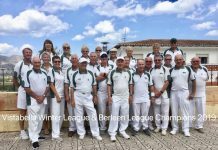 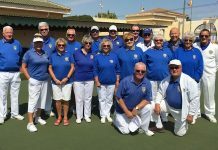 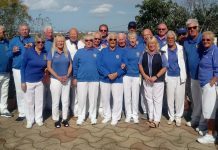 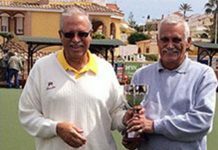 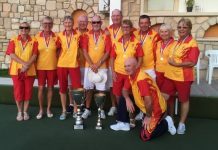 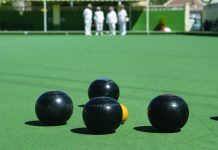 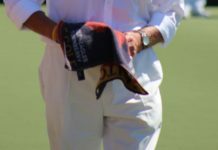 The Winter League triples Competition reached its climax last Monday when the winners of the Northern and Southern Divisions met at Monte Mar, Benitachell v Quesada Swallows let by Sandra Heath. 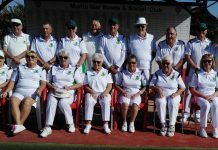 Unfortunately, as they turned up with 6 triples teams, the Swallows had to drop one in the 5 rink final. 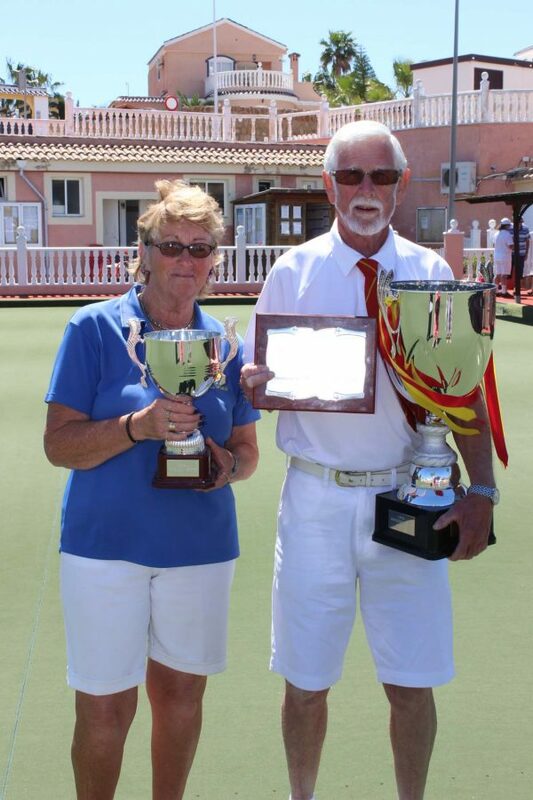 With the outcome decided by a draw Harry Rhodes and Carol Broomfield were therefore consigned to the spectators gallery. 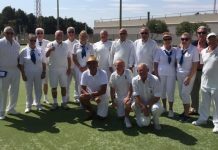 Despite the hype the match turned out to be a fairly one sided affair with the Quesada advantage of playing the venue regularly telling from the very start. 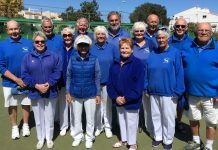 Results (Quesada names first): Peta Rhodes, Dave Donovan, Peter Morgan v Annie Jones, Patty Johnson, Trevor Neale (22-10), Caroline Smyth, Graham Phillips, Phil Bevan v Jinty Chamberlain, Peter Collins, Dudley Davies (24-10), Sandra Heath, Veronica Sale, John Smyth v Rod Warnes, David Brown, Jeff Richards (21-13), Chris Brazier, Pearl Houghton, Jason Prokopowycz v Linda Richards, Yvonne Browne, Linda Warnes (14-14), Deidre Leeming, Jacqui Johnson Derek Sale v Richard Chamberlain, Fely Croft, David Roberts (19-14). 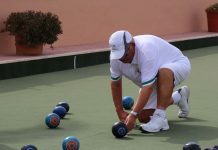 Shots 100-61, Points 9-1.